Lundberg Anya lives a life of leisure as a retiree. 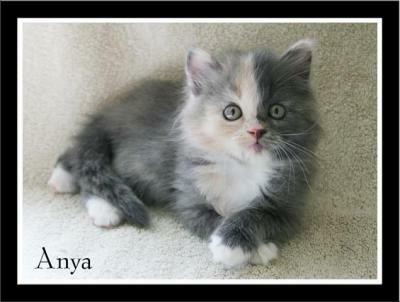 Anya is a dilute tortoisehell with white. Her coat is shiny like her mother, Dori. 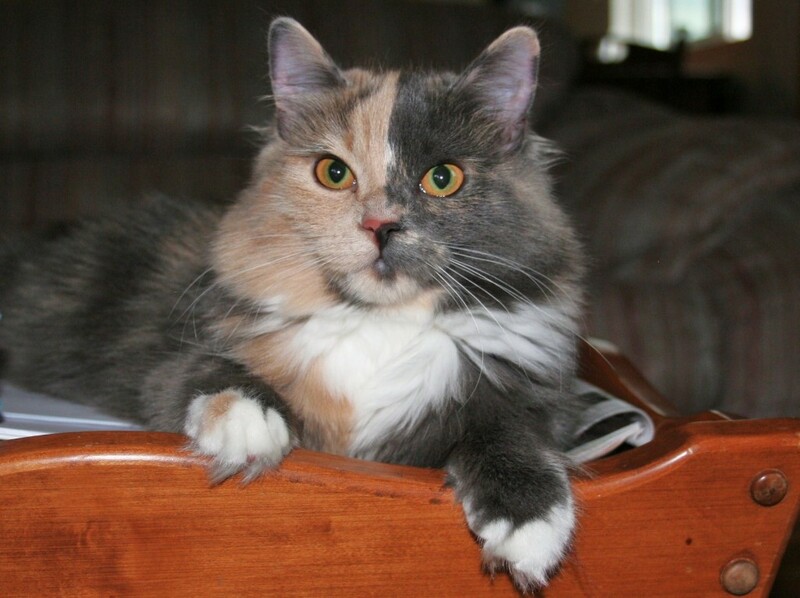 She has very little undercoat and is very low maintenance. Anya is a very calm and sedate kitty most of the time but she sure loves to play games. She has been one of the three main queens at Perovskia Siberians with Lundberg Svanka Nadya and Perovskia Dina.